This story contains major spoilers for 2012’s “The Amazing Spider-Man” and a forty year old comic book. Next summer Sony Pictures will release “The Amazing Spider-Man 2”, the adaptation of one of comicdom’s most memorable storyline: “The Night Gwen Stacy Died” from “The Amazing Spider-Man” #121. The title of the story, which isn’t revealed until the final page of the 1973 comic book, is as self-explanatory a title as there has ever been. But is this story right for a feature film? Gerry Conway wrote the original comic, which saw Norman Osborn regress again into madness. Norman is distraught that his business is rapidly going under and his son Harry continues to struggle with his drug addictions. When confronted by Peter, who’s come to visit his best friend Harry, Norman finds it difficult to hold onto his sanity but quickly loses his grip. Remembering that Peter is in truth the villain’s nemesis Spider-Man, a fact that was temporarily erased with amnesia, Norman dons his Green Goblin garb and soars above New York with one thing on his mind: the murder of Peter Parker. Unfortunately for Peter, his longtime girlfriend Gwen Stacy has come to his apartment to wait for him. From outside Peter’s window we see the Goblin flying directly towards Gwen; the villain appears ready for mayhem and the innocent young woman is in his homicidal path. Peter returns to his apartment to find Gwen’s handbag and a Goblin lantern, his arch-nemesis’ iconic weapon of choice. Using his spider-sense, Peter is led directly to the Washington Bridge. The Goblin is circling above the landmark while Gwen lies unconscious atop the bridge. Spidey and Gobby go at it. The villain knocks Gwen to her inevitable doom. Spidey, knowing he only has one chance, shoots a web at her to keep her from falling to the water below. “Snap”. Yes, “snap”. A small but important sound-effect appears, indicating that Gwen wasn’t going to survive the fall. Gwen Stacy’s death was unthinkable at the time. After all, the hero is supposed to save the girl in these stories. Sure, she finds herself in perilous scenarios time and again, but she’s supposed to make it home safe and sound to be placed in peril an issue or two later. She’s supposed to make it. Not on this night though. In what is easily the single most tragic event since his Uncle Ben was murdered, it became clear to Peter that the life of a hero was not just about saving the day and helping people in need. It was also about loss. Spider-Man was defined by power and responsibility after his uncle’s murder. The hard truth learned in “The Night Gwen Stacy Died” was that, even with all the power and all the responsibility, Peter was still unable to save the woman he loved. Some of the elements of the story ought to be familiar to fans of the Sam Raimi Spider-Man films. In the director’s 2002 film “Spider-Man”, the final act begins to play out like the famous story. The Green Goblin kidnaps Mary Jane Watson and she awakens atop the Queensboro Bridge. Spidey fans must have bit their nails, wondering how closely Raimi and screenwriter David Koepp would adapt the original story. Of course Mary Jane lives, but Norman is killed by his own Goblin Glider (similar to the conclusion of “Amazing Spider-Man” #122). 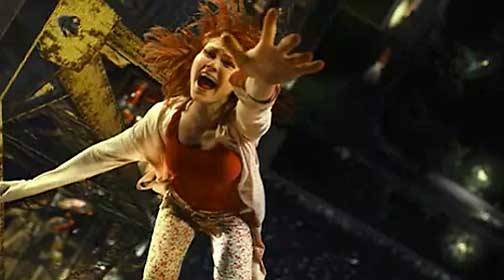 How would audiences have reacted if Mary Jane hadn’t survived in Sam Raimi’s “Spider-Man”? Killing Mary Jane would have been a downer to movie audiences, right? Especially considering that Peter had already lost his uncle earlier in the film. Plus, Spider-Man had become a guardian angel of sorts to Mary Jane who was suddenly finding herself in one harrowing predicament after another. We were becoming invested in these two, hopeful that their love would get the chance to blossom. As an audience, don’t we find ourselves in a similar state with Gwen and Peter in director Marc Webb’s film? It could be argued that Andrew Garfield (as Peter) and Emma Stone (as Gwen) are a more likeable on-screen couple than their predecessors, Tobey Maguire and Kirsten Dunst. Based on Garfield and Stone’s charisma alone, might it be that much more painful for audiences to suffer through Gwen’s death and a shattered Peter Parker? Moviegoers are likely to feel downright despondent. But that’s probably not a strong enough reason to not want to see Webb and company tell one of the most famous stories in comics. “The Night Gwen Stacy Died” has undeniable dramatic heft and it’s genuinely heartbreaking. This is the kind of material that filmmakers love to tell, but rarely get an opportunity in the superhero genre. The closest we’ve come is the death of Jean Grey In “X2: X-Men United”, but the relationship between Jean and Scott Summers (and Jean and Logan) mostly took a backseat to the action and story of that film. Sony is set to produce Hollywood’s first flat out comic book tearjerker. In “The Amazing Spider-Man” Peter’s inaction leads to the death of Uncle Ben. Later in the film, he is unable to prevent the death of Captain Stacy at the hands of the Lizard. In the span of the first film alone, Peter has been tormented by his inability to save the people closest to him. It could be argued that over the years Peter has been plagued by the deaths of important people in his life. However, I would never describe Spider-Man as a tortured hero in the comics. Sony runs the risk of presenting Peter this way in the trilogy. Uncle Ben died in “Amazing Fantasy” #15 (1962), Captain Stacy died in “The Amazing Spider-Man” #90 (1970), and Gwen dies in “The Amazing Spider-Man” #121 (1973). These issues all played out over a decade and were separated by dozens of stories in-between. In the film, these events are being stacked on top of one another and it runs the risk of distorting what is at the heart of Spider-Man. Yes these tragedies have had a significant and lasting effect on the character, but Spider-Man’s persona has always been more about hope and optimism. It’s difficult to see how the character can believably exude these traits if he continues to be surrounded by failure and death. Since the plan is to adapt “The Night Gwen Stacy Died” for the second film in the trilogy, things could play out like the first “Star Wars” series, where the third film is left to achieve a more uplifting tone. While the first two acts of the movies would be heavy on bereavement, the final act could be one of discovery for Peter as he ultimately realizes that his powers have the capacity to both save lives and change them for the better. Adapting this shocking story is also going to prove a challenge for Sony Pictures in terms of marketing. How will audiences, hungry for popcorn entertainment and used to the boy getting the girl, feel about getting emotionally punched in the gut? The studio may want to prepare audiences for what is going to happen by at least hinting that the film will tonally be a downer. Perhaps the tagline “A Hero’s Darkest Hour” could clear things up? As important as the tragedy of Gwen Stacy’s story is to the Spider-Man mythos, this film may be a hard sell for the studio. Coupled with the possibility that comic fans may find themselves detached from a Spider-Man who is so mired in tragedy, next summer may not be terribly amazing for the web-slinger.